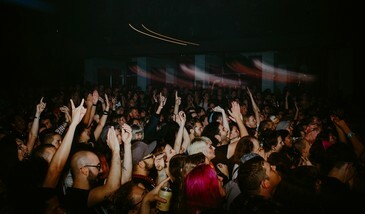 There’s a lot to look forward to about Sled Island 2017. Not only do we have huge curator news to share in January, there’s tons more big news to share right now! Read on for details and when you’re done, take advantage of 25% off your Sled Island 2017 pass (or one of our new Sampler Packs!) for a limited time only. Thanks for the memories, Olympic Plaza! This year, we’re saying goodbye to Olympic Plaza and adding more shows in the venues you love most, including the Central United Church, Flames Central and the brand new National Music Centre. Look for show details in spring 2017!